Home remodeling isn’t easy on anybody, least of all home owners. Home owners have to deal with planning their home’s renovations, juggling multiple work schedules and finally paying for it all. People who are in the remodeling mood often need to realize that they don’t always have the best ideas if they are not going to stay in their homes for at least five years or more. In other words, it is not always the best thing to think that remodeling your home on a regular basis is the process if you are thinking of selling in the next year or so. It is not a given that remodeling your home is going to be a prime factor in selling it. Or to put it another way, if your home is worth $250,000 in a neighborhood with other homes that are priced around that figure, you probably will not gain if you install a $100,000 kitchen. By the same token if you have certain personal tastes, your ideas of great carpeting may not fit what the current trend is in floor coverings. Again if you are thinking of selling anytime soon, you should discuss using rugs with the home remodeler to be sure that you are going with what is popular, rather than sticking to your tastes. 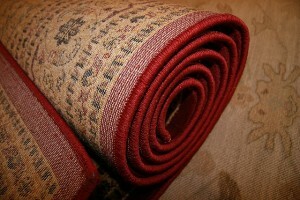 A person may love their bright red carpeting throughout the house, but the odds of selling the house right away are probably slim and none with the carpet being that color.